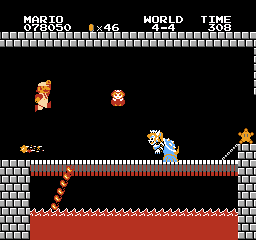 Hey everyone, so from continuing off the successes of my SMB3 Crowned Edition ROM Hack (https://mfgg.net/index.php?act=resdb&par...7&id=35133) I've decided to continue on another Bowsette related ROM Hack. 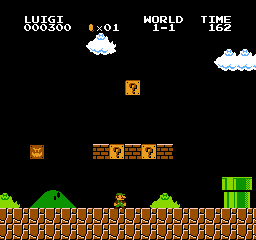 This time will be on the original Super Mario Bros. 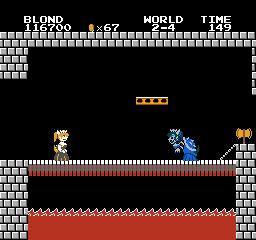 I've done some more updates to the files, so to note there is the main game where Bowsette and her Super Crowned minions are the baddies with 7 unique skins and a variety of changes. For instance, Dry Bowsette is more flat chested. And I plan on posting this weekend the ROM files after some final testing. I'll start posting the sprites soon in time too. It's finally here everyone! Now on MFGG. 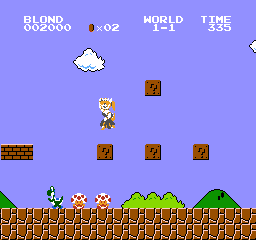 I present to you all, the SMB1 Crowned Edition with a lot of bonus content including Koopa Peach, Boosette (Luigi only), Dark Bowsette (regular Bowsette playable), and Peach boss versions too! I plan on releasing some content, so don't count this done just yet.